To most people the word "autograph" means simply a person's signature. 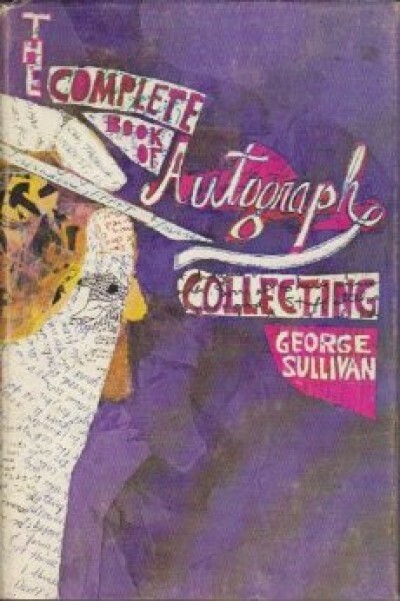 But autograph material can be any note or letter, whether signed or not, a document such as a check or deed, a book manuscript, notes of music set down by a composer, a sketch by an artist. This book is a comprehensive guide to the whole fascinating hobby of autograph collecting. It tells how to choose a specialty, what collectors' organizations to join, and what publications to read. It contains tips on soliciting autographs from celebrities, how to compose letters of request, and how to obtain meaningful letters. Names and addresses of more than one hundred of the world's notables are listed in the appendix. Purchasing from autograph dealers is treated in detail, including how to read dealers' catalogs and how to recognize bargains. The popular field of presidential autographs is reviewed in depth. How to store and how to display autograph material are also explained. The book features over eighty reproductions.